Who was Dr. Peter Henderson Bryce? Dr. Peter Henderson Bryce was among the group of people who wrote the rules and created the institutions that we take for granted in Canada today. Dr. Bryce was a pioneer in public health. As the first secretary of the Provincial Board of Health of Ontario, he set up the first public health education exhibit about tuberculosis prevention in 1883 and drafted the Public Health Act of 1884—the first provincial public health act in Canada. He later served as a founding member of the Canadian Public Health Association and as president of the American Public Health Association. Most notably, Dr. Bryce was a courageous advocate for First Nations child health. 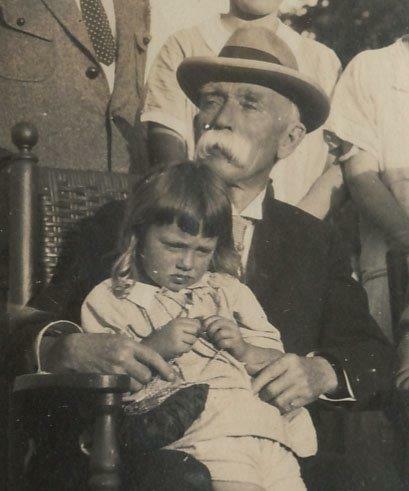 In 1904, Dr. Bryce was hired by the Department of the Interior to manage public health issues in both the Immigration Department and Indian Affairs. In 1907, he issued a report critical of the health conditions in the residential school system of western Canada. His report also laid blame on the federal government for negligence that led to shocking death rates due to communicable disease, primarily tuberculosis. Statistics showed students were dying at rates between 24 to 69 per cent. Although the report was shared widely within the department, it did not gain much publicity. Duncan Campbell Scott, then head of Indian Affairs, dismissed Dr. Bryce’s recommendations to establish proper hospitals and overhaul the Indian education system, and eventually terminated funding for his research. Upon his retirement in 1922, Dr. Bryce published the results of his report in his book The Story of a National Crime: Being a Record of the Health Conditions of the Indians of Canada from 1904 to 1921. Peter Henderson Bryce died in January 1932 while on a trip to the West Indies. It was not until 2008, when Prime Miniser Stephen Harper issued the Apology for Residential Schools, that the federal government admitted to any negligence or wrong-doing which Dr. Bryce had so clearly shown over 100 years earlier. Dr. Bryce stood up for the safety, health and well-being of First Nations, Métis and Inuit children even when it was a hard thing to do because other people criticized him. He knew what was right, and in a peaceful and respectful way, kept on trying to help the children. We want others to follow his example by having the courage to stand up for the right thing and help this generation of First Nations, Métis and Inuit children and youth have the same chance to succeed as other children and youth in Canada. In 2016, Peter Campbell, Dr. Bryce's great-grandson, made a film called Finding Peter Bryce which traces Dr. Bryce's life and story. For more information on Finding Peter Bryce, please contact Peter Campbell at peter@gumbootproductions.com.